"This is arguably the best located beach café anywhere in the country – “Kick Back Café” Omaha Beach" says Tom Crawford the Business Broker from Tourismproperties.com who is handling the sale. An almost new, hardly used by the original owner and has the potential to make you a ton of money. 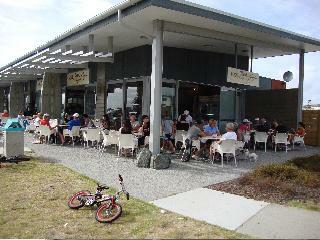 Close to the Omaha Surf Club this is a beachside café with stylish fit out, indoor/outdoor seating and professional kitchen. Work hard weekends and holidays and “Kick Back” during the week. Priced to ensure a quick sale at $165,000 plus GST(If any) which is well below replacement costs which was a brand new fit out. Call the Broker on 021 278 9200 or email tom.crawford@tourismproperties.com now and get established for the busy season starting Labour Weekend. Licensed and with a strong Lease – this is one you shouldn’t miss.